- All loot has been adjusted to be in line with Loot 2.0. - The following missions have, once again, been adjusted in an attempt to resolve the issue of error codes. - A.R.C. Faction weapons now require A.R.C. Weapon Cubes, an item created by refining A.R.C. Weapon Vouchers with Imperium Key Cubes. - The cost of A.R.C. Tier 2 armors, specifically head and chest pieces have had their price increased. -- There are now no prerequisites to attempt the advanced runs. -- The cost to attempt the advanced run has been reduced from an Imperium Key Cube to a normal Key Cube. -- The reward for the fastest times for each platformer instance will now award 2 fragments and an achievement; second fastest time now has a chance to award 1 fragment or 20 Cyrene Mission Tokens. 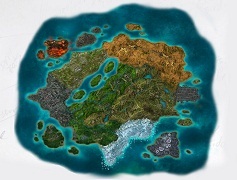 -- There are now 3 types of fragments: Jade, Blood, and Cobalt. -- These 3 types of fragments will be used in new blueprints coming with this Mini Patch. - A suite of new blueprints for the Blueprints: Cyrene book, with a focus on weapons, attachments, and mining tools. - The C.L.R. 101 has been changed to be limited, which was initially intended. - Executor Andre at 0x101 Supply Depot had his missions adjusted and they should all appear correctly. - 20,000 Nimet Weekly mission now correctly requires the completion of The Nimet Hunter – Rank 6. - The Sky Labs has been slightly adjusted in for some coming changes in a future VU. - The Day and Night cycle has been slightly adjusted in order to make playing during the dark nighttime hours easier for all players. - The Spear MK. III is difficult to maneuver, this is being looked into. - The Spear destroyed model becomes invisible; this issue is being looked into. - All Cyrene vehicles (P.I.G.V., Spear, Lancer, and Dragonfly) have default sounds, this will be addressed in a future patch. - A supplementary mission for Rank 5 of Brown Beetles is currently not functioning properly, and it being looked into. - The end of part 2 of the Outside coat mission has been delayed, and will continue in a future VU.